Forty thousand University of Hawaii students are heading back to class Monday, along with several thousand more private school students. 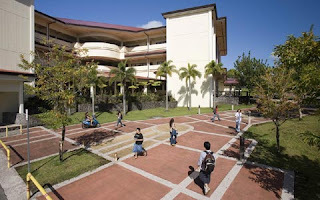 With enrollment at record levels throughout the University of Hawai'i system, and campuses struggling to cut a total of $76 million from their budgets, officials have been scrambling for the past several days to prevent a class shortage as the semester begins today. With enrollment burgeoning and the effects of an economic downturn being felt everywhere, more university students are lining up for financial aid. Over the five fiscal years ending in June 2008, state appropriations and tuition income per student at the University of Hawaii grew 32.1 percent, the highest percentage increase in the nation, a new report shows.